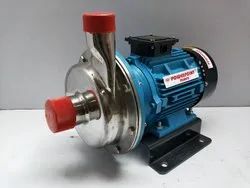 Pioneers in the industry, we offer centrifugal self priming pump, boiler feed pumps, bilge pump, engine driven pump, flame proof pumps and monoblock polypropylene pump from India. 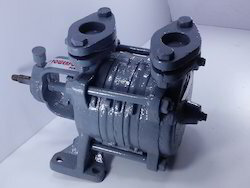 Our company has created niche in the field of offering Centrifugal Self Priming Pump to the clients. 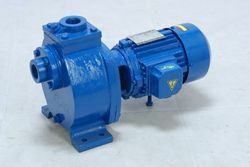 Centrifugal Self Priming Pump is designed by utilizing premium quality material and cutting-edge tools and technology in adherence to the universal quality norms and standards. 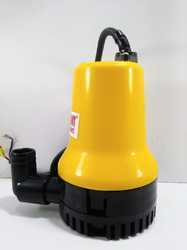 This product is duly tested by the quality controllers. 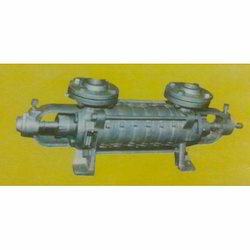 ** MAXIMUM SUCTION LIFT- 8 METERS(26 FEETS), TOTAL HEAD STATIC SUCTION LIFT STATIC DELIVERY HEIGHT FRICTION IN PIPES & FITTINGS OTOR B.H.P. 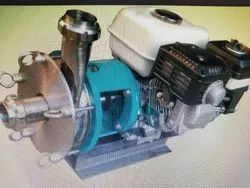 INCLUDES APLE MARGIN WHEN PUMPING CLEAN AND PURE WATER FOR LIQUIDS OF HIGHER SPECIFIC GRAVITY HIGHER H.P MOTOR WILL BE REQUIRED. 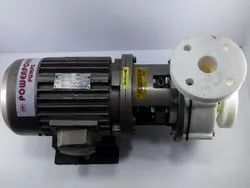 ***DESIGNATION: - “B” – BALL BEARING AT THE DRIVE END, “BB” - BALL BEARING AT THE BOTH ENDS, “BBTE” – SAME AS BB BUT THE STUFFING BOX IN FITTED WITH LANTERN RING & THE CENTRAL SPACE IN CONNECTION PIPE. 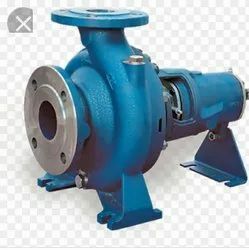 **** CONSTRUCTION: - PUMP CASING – CAST IRON, IMPELLER – BRONZE, GLAND PACKING – SOFT ASBESTOS GREASED & GRAPHITED PACKING, SHAFT – STAINLESS STEEL. 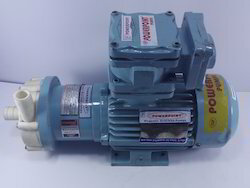 We feel proud to introduce ourselves as the well-known traders, suppliers and wholesalers of Flame Proof Pumps. 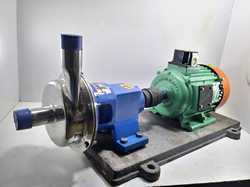 The offered flame proof pumps are specially designed for high temperature applications. 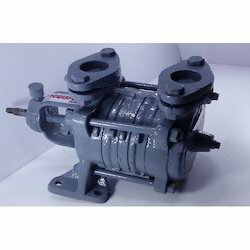 Our supplied flame proof pumps are made from superior grade iron alloy, sourced from very reliable and trusted vendors in the market. 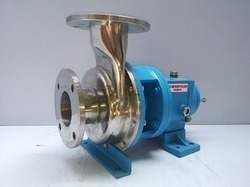 Pipe size 1" x 1"